Add easy resplendence to your next medieval or Renaissance look with the Regal Fleur de lis Short Cloak. This half-length cloak is made of plush, heavy velvet and secures at its mandarin collar. Fleur de lis trim accents the front opening, and the hook closure at the collar is hidden for a streamlined look. The sides of this velvet cloak are slightly longer than the front and back. 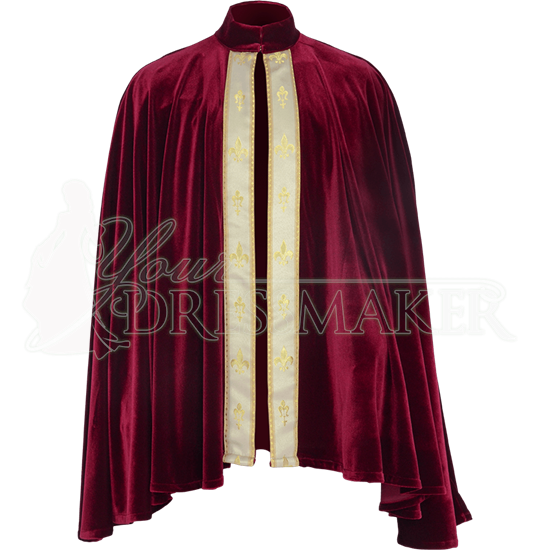 Choose from a variety of velvet cloak colors, and select either ivory or burgundy trim. 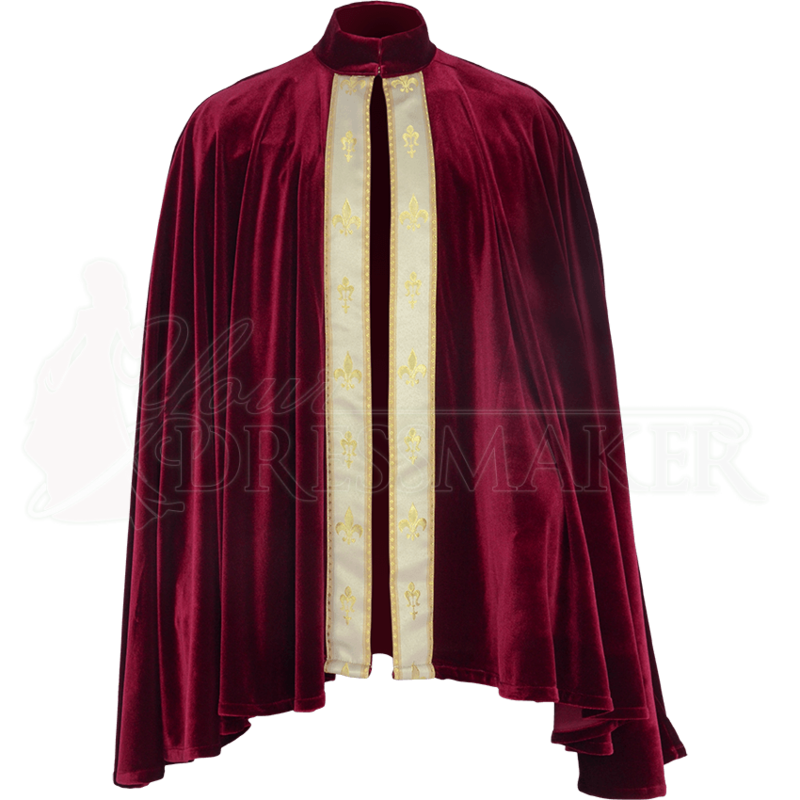 This short velvet cloak is available in a range of sizes. For medieval nobles, clergy, royalty, or fantasy characters, the Regal Fleur de lis Short Cloak is the perfect way to lend stately style to Renaissance fair, historical reenactment, or fantasy outfits.